Intercraft Flooring Group only uses the highest quality synthetic materials in our products.Our vinyl floor tile options, available throughout Sydney, are made from hardwearing composites that have been carefully layered using state-of-the-art manufacturing methods. This ensures floors that are extremely durable and can withstand heavy foot and trolley traffic, ideal for any commercial space. Our vinyl is highly resistant to scratches, scuffs and stains – for long-lasting, heavy-duty floors, we are the solution. Our vinyl flooring are non-porous and fully waterproof, which makes them an exceedingly low maintenance and hygienic flooring option. A non-porous surface prevents the growth of bacteria and moulds, and minimises the build up of dirt and dust. Since it is waterproof, vinyl is resistant to staining and can be cleaned using detergent and water. Its water resistance lends itself well for use in bathrooms, healthcare facilities and other areas where hygiene and water resistance are of utmost importance. 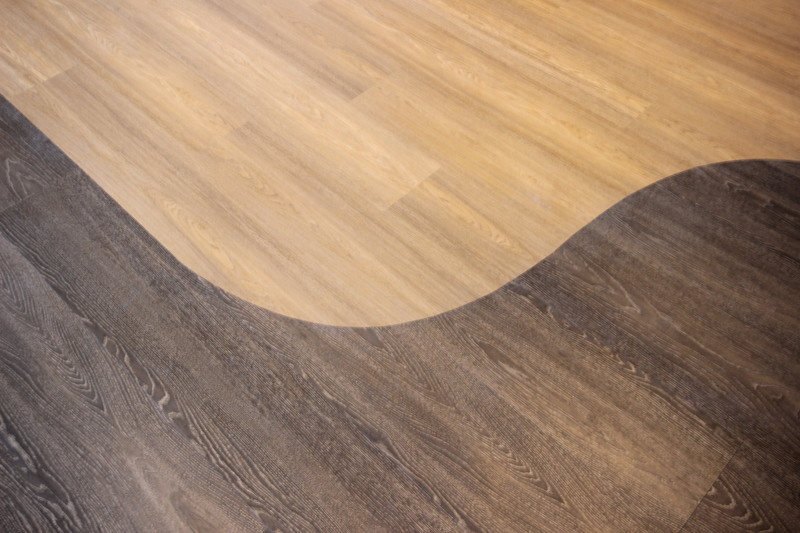 Attractive and aesthetically pleasing without the heavy price tag, vinyl is the ideal flooring option for commercial, educational or healthcare facilities. Intercraft Flooring Group are established vinyl flooring installers based in Sydney, offering a range of synthetic options for your interiors. Vinyl has quickly become one of the top choices for commercial floors because of its versatility and attractive price point. Our vinyl floor tiles in Sydney can effectively imitate more expensive flooring options, including wood, concrete, ceramic and marble. Modern imaging technology allows us to create vinyl floor tiles that look just like the real thing. We offer bespoke patterns and finishes to suit your preferences, customising them to match any interior. We can even create custom patterns and colours as an alternative to natural finishes. 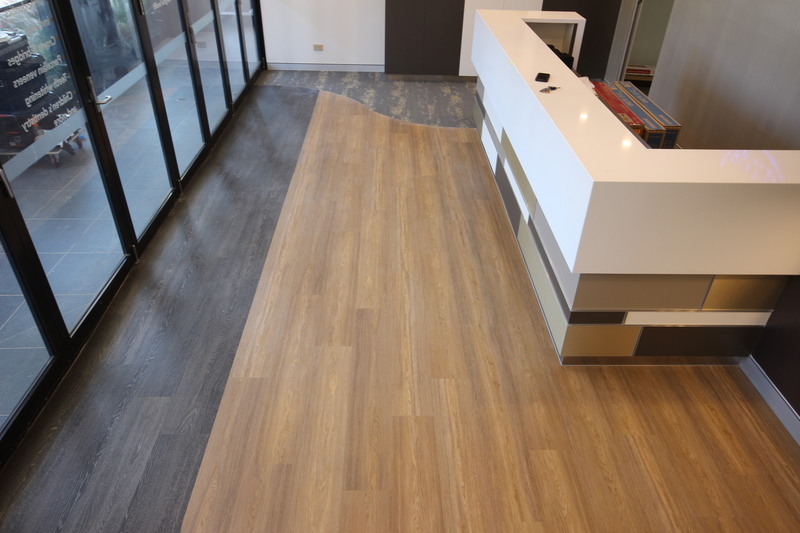 With over 40 years of experience in providing commercial vinyl flooring solutions for Sydney businesses, Intercraft has built a reputation for providing high-quality flooring systems backed by excellent customer support. We handle all aspects of your project, from the initial measurements to the final installation of your new vinyl floors. We work closely with our clients, making sure to provide samples and to have the design pre-approved before installation. This ensures no unwanted surprise and that our clients will be delighted with their flooring. Call us now at 1800 673 023.